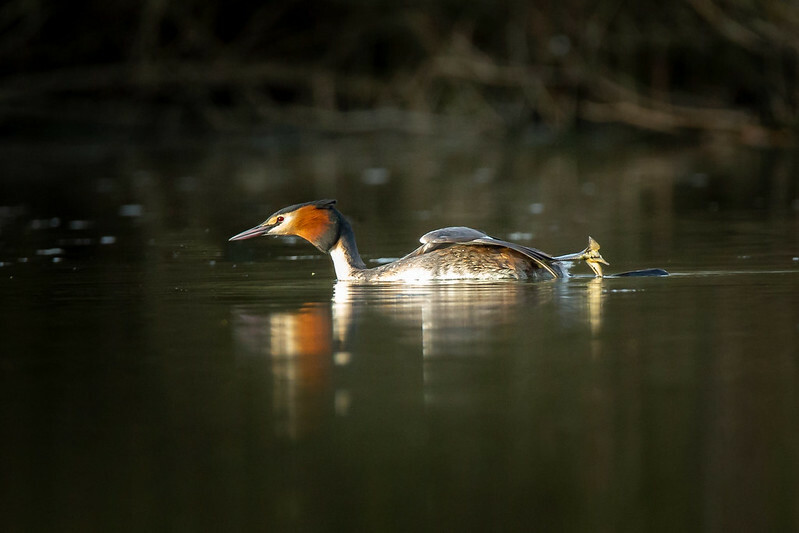 Great crested Grebe - Starting Courting? 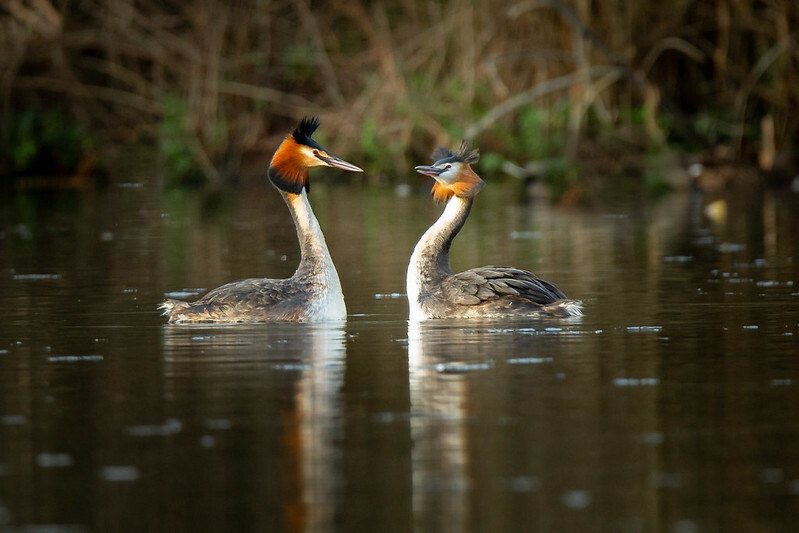 Thread: Great crested Grebe - Starting Courting? walking around the local lake this afternoon and noticed these two grebe. A large crop but good for record. 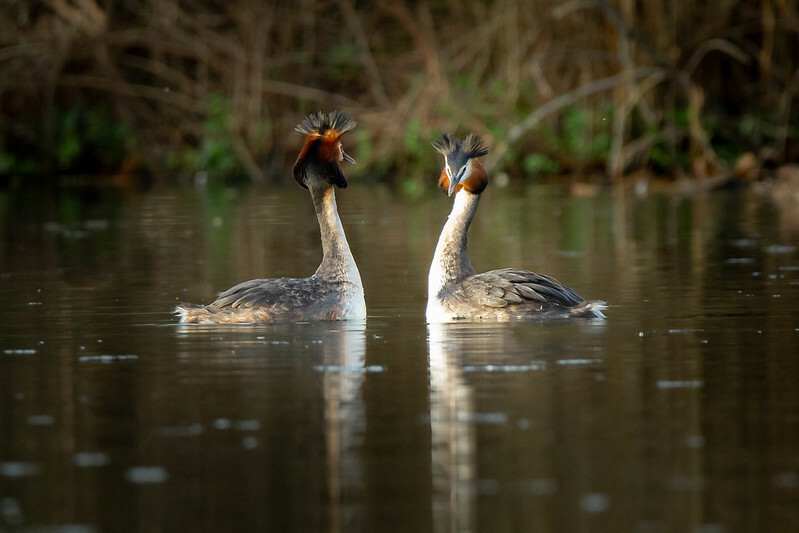 Re: Great crested Grebe - Starting Courting? 1DX, and 7D2 ,500mmf4mkii, 300mmf2.8, 400mm f5.6 , 100mm - 400mmmk2 ,70-200mm f2.8 ,24-105mm f4, 100mm f2.8 macro , 1.4x converter, 2x converter and a big dose of luck !! One of my favourite water birds, but they just look stunning in full breeding plumage. Dark background and low point of view certainly centres interest on the birds. Very nice, they are quite rare round here, not many places have them. A lot more common in Dorset. Most lakes will have at least one pair, but I haven't seen many on the rivers. Very nice series of shots. Have taken a few similar ones over last week or so, including the weed presentation dance. Unfortunately I wasn't able to get a low viewpoint like yours and they were in open water, which never looks as good in my opinion. I'm not normally keen on a heavy vignette but it really seems to suit these shots. I think we have 3-4 pairs on the local lake - so may get more shots and hopefully they may come a bit closer!! !